If you are interested in modifying the Instances of TerraScan/TerraSlave that are launched when Dispatching/Distributing from GeoCue, you may consider customizing Machine Resources. (Note that these are advanced GeoCue settings and require Administrator level privilege). These settings can be found and edited per Machine in the Dispatch Manager (Select from machine tab and choose Modify) by a user that is a GeoCue Administrator. 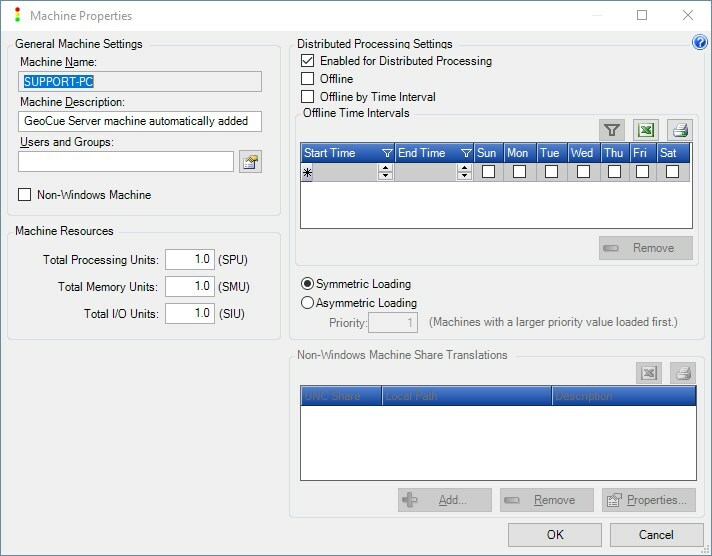 Fig.2: Machine Resource Settings in the Machine Properties window. If you wanted to edit the Predicted Usage for a specific Checklist Command, open Geocue Environment Builder, Filter by Environment, select the Commands tab, and use the list to choose the command to modify (select the checklist step you want to modify). Predicted usage will look for machines that can run the command at it’s predicted usage when assigning tasks and/or subtasks. details more about licensing requirements for Geocue Command Dispatch and the associated processing software. Demands on the machine: Is the machine a dedicated processing workstation? Will there be other processes from other programs running concurrently? Is there typically a user on the machine taking other machine resources? If any of these apply, you may want to look into a reserve cloud to better manage available resources. Section 9 of the Command Dispatch System Administrator’s Guide discusses configuring clouds. Machine Resources: Can the machine handle maximum threading? Have TerraScan and TerraSlave been threaded? Environment Builder relies on predicted consumption, whereas multi-threading does not. Not every process benefits from multi-threading, and over-allocating machine resources can lead to thrashing.